I experienced something first hand right after my birthday last week. I have shoulder damage from breast cancer surgery nine years ago. I do have to be careful of my shoulder and can’t lift all that much. Besides all that, I’m very intelligent, motivated, able to walk, jump, swim, drive etc. I can do all kinds of things ~ thankfully I have arms. Some people don’t. Here’s what I want you to know. Individuals that has some sort of handicap do not repeat Do Not want to be treated as if they aren’t capable. That’s a good way to undermine someone’s self-confidence. It’s also a good way to lose a friend. My thought have always been, regardless of their abilities, I don’t see a thing wrong with anyone and you shouldn’t either! An accident, surgery complications, or illness could happen to any of us specially as we get older. Each person needs to be treated with respect and dignity. It’s always the people that have challenges that teach each one of us something about living and persevering. Someone with a disability has more courage than anyone else. If you don’t take the time to treat them well, it’s because something’s incredibly wrong with you – not them! Here’s some advice when dealing with someone that might need your help. Which teminology they prefer you use: “handicapped” (I doubt it), “physically challenged”, or any other expression that they prefer. The correct terminology might be to not even label them. God sees them as perfect, you should too! (From paralyzed veterans) Just because someone has a disability doesn’t mean that they require help – they want to be treated as independent people, too. If they do ask for help, ask how before you act. If you don’t wait for instructions, you may end up hurting more than helping. Most importantly, treat wheelchair users however you’d like to be treated ~ and just be yourself! Many people are handicapped in ways that can’t be seen. They’re handicapped with bad attitdues, bitter hearts, jeolous thoughts, anger, self-pity, insensitivity, and self-centeredness. These types of personality traits keep people from experiencing God’s best. Don’t let them hold you back from all that God has for you. ~ More resources to help you just like Nanci’s new book ~ Fresh Hope … Cleveland. Here’s something new that is worth sharing today regarding Giant Eagle’s discounted and FREE medications. Just in case you didn’t know! 4. Transfer a Prescription – receive bonus fuelperks! I hope too, that you are well today and you can put this information right under your hat for another day. ~ learn more about Nanci’s new book Fresh Hope … Cleveland. I will share stories, thoughts, and wisdom in a message entitled “Dealing with the Storms of Life.” Soon I’ll be a nine-year breast cancer survivor so you’ll learn the influence cancer had on my life and how I came to write my book Fresh Hope … Cleveland–a book of that can be a blessing to each of us traveling life’s highway. Join us in a comfortable living room setting at the Gathering Place WEST (800 Sharon Drive ~ Westlake, Ohio) followed by a book signing with books/$20 and literature/$2. Everyone is welcome whether your life has been touched by cancer or not–but registration is required. Questions? Email me at: FreshHopeCleveland@Yahoo.com or see the Book Signing + Events tab on this blog. I hope to see you there ~ we are so blessed to have The Gathering Place in our city at not one location, but two! ~ more information in keeping with Nanci’s new book Fresh Hope … Cleveland. Hi! This month marks a significant anniversary for me. On October 25, 2003, one week after my birthday, during my mammogram we discovered a mass in my breast. The rest is history. Ladies and gentlemen don’t forget your monthly breast exams. Roughly 1,500 men a year are diagnosed with breast cancer and 1 in 7 women are diagnosed each year. Even if you’re afraid, go immediately to your doctor if you find a lump or there’s just something different about your body. Early detection and treatment are your best line of defense should you discover something that just doesn’t seem right. LINK TO BREAST CANCER VIDEO: (Below) Watch and Dance in honor of cancer survivors and those you love. Watch the orginal Breast Cancer Pink Glove Video ~ click the link below which will take you directly to my October 5, 2010, blog post where you can watch the video. It also explains the story of how the video came to be! It’s a great story. Get up and DANCE and ENJOY this great video. It will lift your spirits whether you are in treatment now, a cancer survivor, or anyone else who supports a cancer patient or survivor. This is indeed “Fresh Hope” for you today. Attend This Free Event ~ All are Welcome! I came across a wonderful place ~ Friends & Family Christian Bookstore. It has a lot of charm. You’ll love it as much as I do. It’s a cozy place where you’ll find wonderful new books, Bibles, and gifts. Now you can buy my book at this fabulous bookstore! The owners and I have also talked about having a book signing there for me and my book in the near future. I’ll keep you posted. My book: Fresh Hope … Cleveland:Resources to Help You Navigate through Unsettled Times. It’s a resource guide +workbook. Friends & Family Christian Bookstore is located at 7625 Walton Road -Walton Hills, Ohio. Co-owners are Anita Foster and Grace Mason. They will make you feel right at home and will help you in anyway they can. 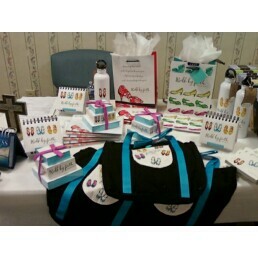 They also do special orders and can make up decorative book tables for your church or organization. Please visit their website (below). Better yet, pop in and see them ~ you’ll be blessed in many wonderful ways. 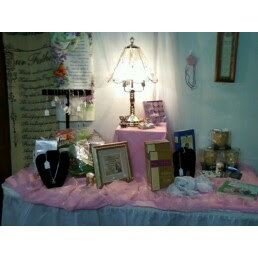 Below are photos of the charming interior at the Friends & Family Christian Bookstore.